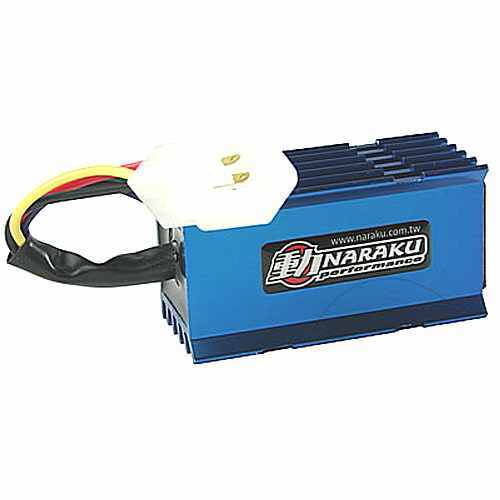 New version of the microprocessor-controlled ignition unit without speed limit with NARAKU performance. The advantages of a processor-controlled CDI is an increased spark and the speed-dependent dynamic ignition timing advance curve with a corresponding map. A real racing part!